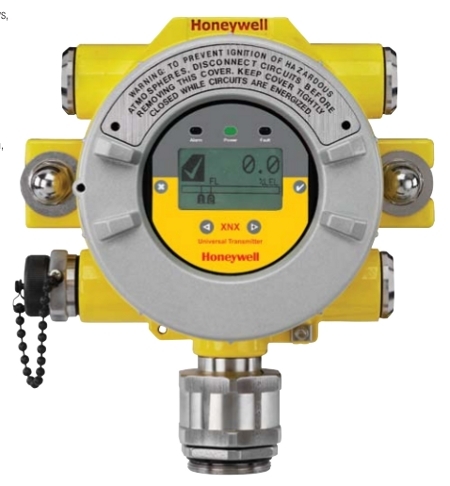 Honeywell Optima Plus advanced stainless steel Point Infrared Hydrocarbon Gas Detector LEL available for over 100 gas and vapour calibrations. 4-channel (dual compensated) optics-block, 3-Wire 4-20mA source, optional Multidrop Modbus RS485 and HART. Hydrocarbon calibration (Methane, Natural Gas, Propane, etc.) combustible 0-100% LEL (Lower Explosive Limit) with dust barrier, weather housing, deluge/heat shade, configured as current source output, UL/INMETRO approved (Also available ATEX and CSA). 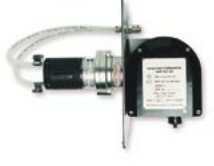 Optional remote gassing cell. 2108N4100N contains : 2108B2101N and it also includes Dust Barrier 2108B0259, Deluge and Heat Shade 2108D0275, Weather housing 2108B0276, fully assembled and tested as a complete unit. 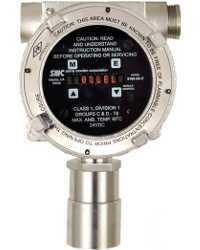 Largest selling point IR hydrocarbon gas detector in the world. The 4-channel (dual compensated) optics-block is the heart of the Searchpoint OPTIMA PLUS. 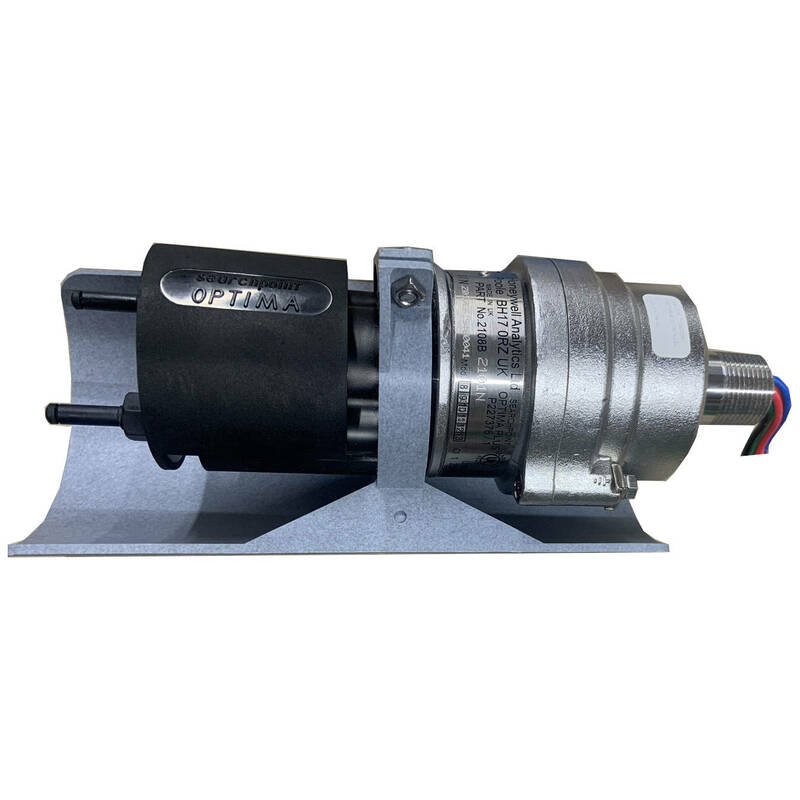 It is specifically designed to compensate for changes in the external environment similar to 2- channel designs, but also compensates for long term component drift such as infrared sources and detectors. This combined with the de-focussed beam provides the Searchpoint OPTIMA PLUS with the most stable optics design possible. Performance approvals EN50054, EN50057, CSA C22.2 152. 04200-A-1015 Optima duct mounting kit for Honeywell Optima Plus. Use only with ATEX and SAA Versions ..
2104B2381 DX100i XP junction box UL with IS barrier for Honeywell Optima Plus. For ATEX use an XNX transmiter XNXAMAINNNNN ..
2104B2382 DX100M XP junction box UL with MODBUS capability for Honeywell Optima Plus. ..
2108B0259 Dust Barrier for Honeywell Optima Plus. ..
2108B0276 Weather housing for Honeywell Optima Plus. ..
2108D0275 Deluge / Heat Shade for Honeywell Optima Plus ..
OPTIMACALKIT Honeywell Optima Plus calibration kit, 3/16" ID Tubing, gas cover, C-10 inlet regulator for Optima Non-RGC (contains 998-100-004, 2108D0258, 998-100-002 (2LPM), W/GAS CELL) -C-10 Calibration gas cylinder not included- ..
2108N4000N Honeywell Optima Plus advanced stainless steel Point Infrared Hydrocarbon Gas Detector LEL available for over 100 gas and vapour calibrations. 4-channel (dual compensated) optics-block, 3-Wire 4-20mA source, optional Multidrop Modbus RS485 and HART. Hydro ..
XNXUTAINNNNN Honeywell XNX Universal Display and Transmitter for IR infrared input compatible with Optima Plus and Excel Open Path sensors, with aluminum alloy LM25 housing (optional stainless steel), 3-wire 4-20mA HART loop, option for Modbus, Foundation H1 Fieldbus, ..
> GAS DETECTORS > LEL INFRARED : 23 Items found. Honeywell XCD Sensepoint Gas Detector, Methane (Natural Gas) (CH4) Infrared Sensor combustible 0-100% LEL (Lower Explosive Limit) with aluminium housing (optional stainless steel), stainless steel sensor head, explosion-proof IP66. 3-wire 24 VDC power, include 2 programmable alarm relays, 1 programmable fault relay and 4-20mA output (sink or source selectable); Modbus RTU option available. User-Selectable full scale range 20%-100%. UL/CSA Class I Division 1 or ATEX IECEx available. 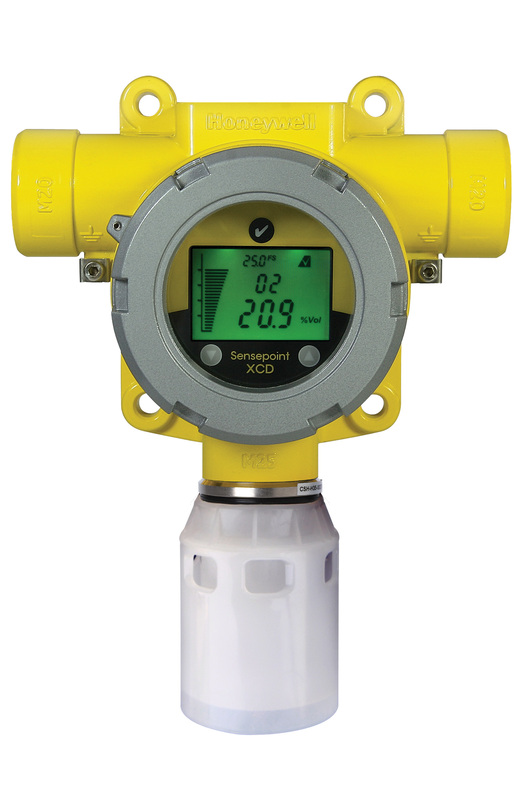 GDS GDS-48 Remote Gas Detector Transmitter with Stainless steel sensor head configured with SmartIR sensor for combustibles and Methane (CH4) 0-100% LEL (Lower Explosive Limit). 3-Wire Bridge Output. CSA Certified for Div. 1 Explosion Proof. Honeywell XCD Sensepoint Gas Detector, Infrared Sensor for Propane (C3H8), Ethylene (C2H4), Butane (C4H10) & Pentane (C5H12) combustible 0-100% LEL (Lower Explosive Limit) with aluminium housing (optional stainless steel), stainless steel sensor head, explosion-proof IP66, 3-wire 24 VDC power, include 2 programmable alarm relays, 1 programmable fault relay and 4-20mA output (sink or source selectable); Modbus RTU option available. User-Selectable full scale range 20%-100%. UL/CSA Class I Division 1 or ATEX IECEx available. 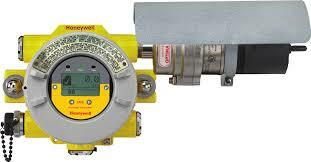 Honeywell Optima Plus advanced stainless steel Point Infrared Hydrocarbon Gas Detector LEL available for over 100 gas and vapour calibrations. 4-channel (dual compensated) optics-block, 3-Wire 4-20mA source, optional Multidrop Modbus RS485 and HART. Hydrocarbon calibration (Methane, Natural Gas, Propane, etc.) combustible 0-100% LEL (Lower Explosive Limit) with dust barrier, weather housing, deluge/heat shade, configured as current source output, ATEX/IECEx approved (Also available UL/INMETRO and CSA). Optional remote gassing cell. 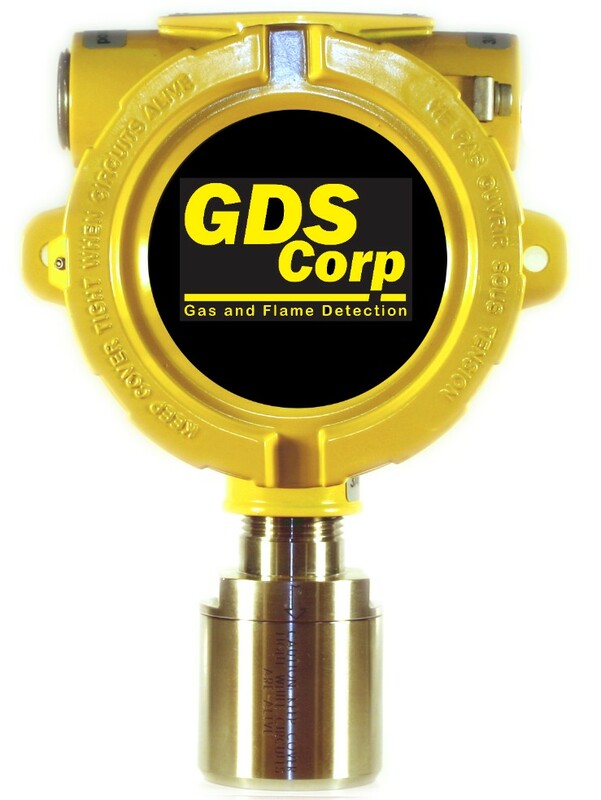 GDS GASMAX II 3-Wire Gas Detector with local stainless steel sensor head configured for Smart IR combustible 0-100% LEL (Lower Explosive Limit) Methane (Natural Gas) with range combustible 0-100% LEL (Lower Explosive Limit), 4-20 mA output transmitter with optional Alarm Relay Board (3x 5A SPDT) and RS-485 Modbus RTU. Also available for Methane 0-100% Vol, Propane, Propylene, Butane, Pentane, Hexane, Ethylene, Ethane, Ethylen Oxide (EtO), Methyl Bromide, Butane, Isopropanol, Methanol, Ethanol, Toluene, Acetone, MEK and Xylene. GDS GDS-IR Infrared Remote Gas Detector Transmitter with Stainless steel sensor head configured for Combustibles LEL (Specify), 3-Wire output 4-20 mA transmitter, Explosion Proof (XP). Suitable for applications in the harshest of environments. Available gases: Methane (CH4), Propane (C3H8), Isobutane (C4H10), Pentane (C5H12), Cyclopentane (C5H10), n-Butane (C4H10), Ethanol (C2H6O), Methanol (CH4O), Hexane (C6H14), Jet-A, Diesel and Gasoline. Honeywell Optima Plus advanced stainless steel Point Infrared Hydrocarbon Gas Detector LEL available for over 100 gas and vapour calibrations. 4-channel (dual compensated) optics-block, 3-Wire 4-20mA source, optional Multidrop Modbus RS485 and HART. Hydrocarbon calibration (Methane (Natural Gas), Propane, etc.) 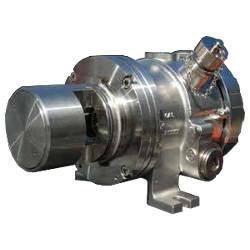 combustible 0-100% LEL (Lower Explosive Limit), for use in remote sampling systems, includes flow housing and remote gassing cell, configured as current source output. 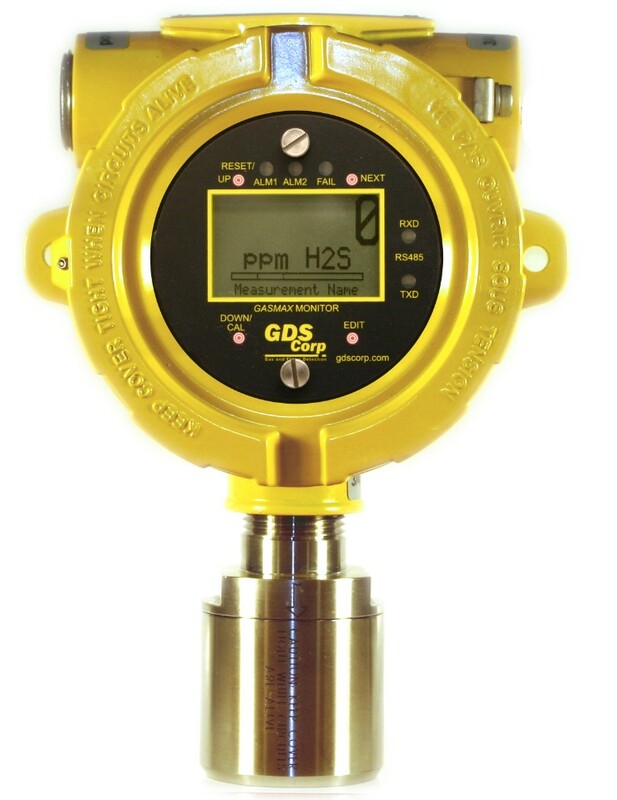 ESP Safety SGOES Infrared Gas Detector for measurement of hydrocarbon gases (Methane, Propane, Butane, Pentane, Hexane, Cyclopentane or Ethanol). Factory calibrated at 0%, 20%, 50%, and 95% LEL. Analog 4-20 current loop with HART, Digital RS-485 Modbus RTU and 3 relays. Includes protective weather cover and mounting hardware. IP66. SIL2 Rated. FM, ABS, IECEx, CE and CSA Approved. Stainless steel construction. T90 response time= < 5 seconds (methane). 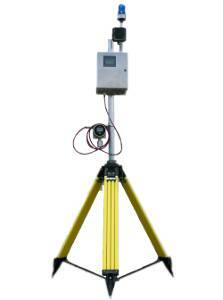 Sierra Monitor 5200-28-IT Infrared Gas Leak Detector for Combustibles 0-100% LEL (methane and others). 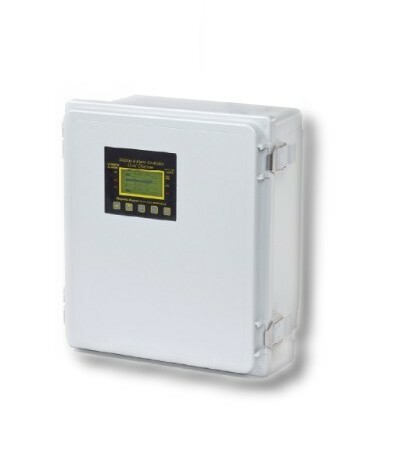 ModBus RTU-485, 4-20mA output, HART interface and optional alarm relays, Explosion proof NEMA-4X Aluminium Enclosure. IP66. IP65. FM, SIL-2 and ATEX approved. Class I, Div. 1, Groups C, D.
Honeywell Optima Plus advanced stainless steel Point Infrared Hydrocarbon Gas Detector for gas ranges 0�100 %v/v Methane (CH4), 0�600,000 ppm Propane (C3H8) and 0�400,000 ppm Propane (C3H8). 4-channel (dual compensated) optics-block, 3-Wire 4-20mA source, optional Multidrop Modbus RS485 and HART. Hydrocarbon calibration fitted with remote gassing cell and flow housing. GDS C2 2-Channel Gas Detector Integral Alarm Controller with local DELRIN sensor head with SmartIR Methane (Natural Gas) integrated sensor with range combustible 0-100% LEL (Lower Explosive Limit) with standard 2x 5A SPDT relays, with optional visual-audible alarm, in standard CSA approved, Class I, Division 2 - NEMA 4X non-metallic enclosure 120 VAC, ready to use. With second channel available for optional sensor for EC/Toxic, catalytic, IR or PID sensors.Pushbutton Zero and Span calibration for direct sensors. Also available for Methane 0-100% Vol, Propane, Propylene, Butane, Pentane, Hexane, Ethylene, Ethane, Ethylen Oxide (EtO), Methyl Bromide, Butane, Isopropanol, Methanol, Ethanol, Toluene, Acetone, MEK and Xylene. GDS GASMAX CX 3-Wire Gas Detector with local stainless steel sensor head configured for Smart IR combustible 0-100% LEL (Lower Explosive Limit) Methane (Natural Gas) with range combustible 0-100% LEL (Lower Explosive Limit), QVGA color TFT display, 4-20 mA output transmitter, Ethernet Modbus TCP RJ-45 port with built-in web server. Optional Alarm Relay Board (4x 5A SPDT) and RS-485 Modbus RTU. CSA Certified for Class I, Div 1, Grps B, C, D. Also available for Methane 0-100% Vol, Propane, Propylene, Butane, Pentane, Hexane, Ethylene, Ethane, Ethylen Oxide (EtO), Methyl Bromide, Butane, Isopropanol, Methanol, Toluene, Acetone, MEK and Xylene. GDS RigMAX Single Channel Gas Monitor with Integrated strobe and 99dB horn with Infrared sensor for Methane with range 0-100% LEL (Lower Explosive Limit). Includes backlit display and 100 ft #18GA neoprene power cable. 24 VDC. Aluminium Housing and 4 point magnetic mount. CSA Certified for Class 1, Div 1, Groups B, C & D. Available calibrated to Methane (Natural Gas), Propane (LP) and other hydrocarbons. 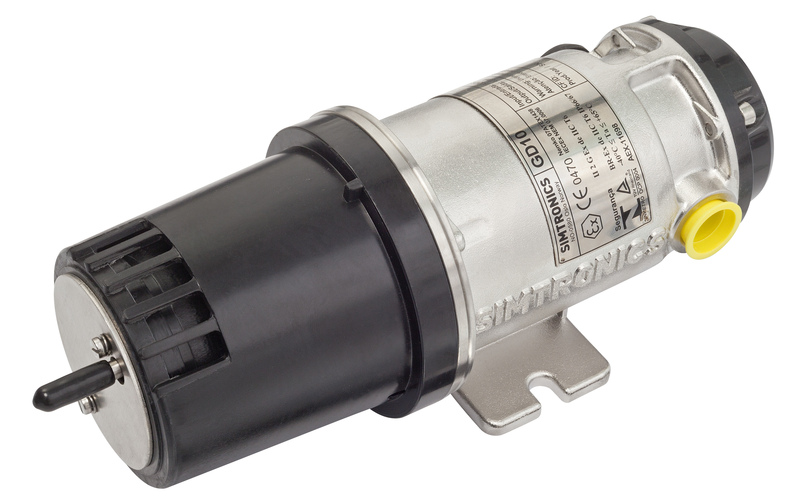 Simrad GD10P IR Point Gas Detector for combustible gases: Methane (CH4) , Ethylene (C2H4), Propane (C3H8), Acetylene, Butane and others on offshore installations. 4-20 mA output with HART. 24 VDC. Available Approvals: ATEX, CSA/US, IECEx, INMETRO, ABS, SIL and MED. 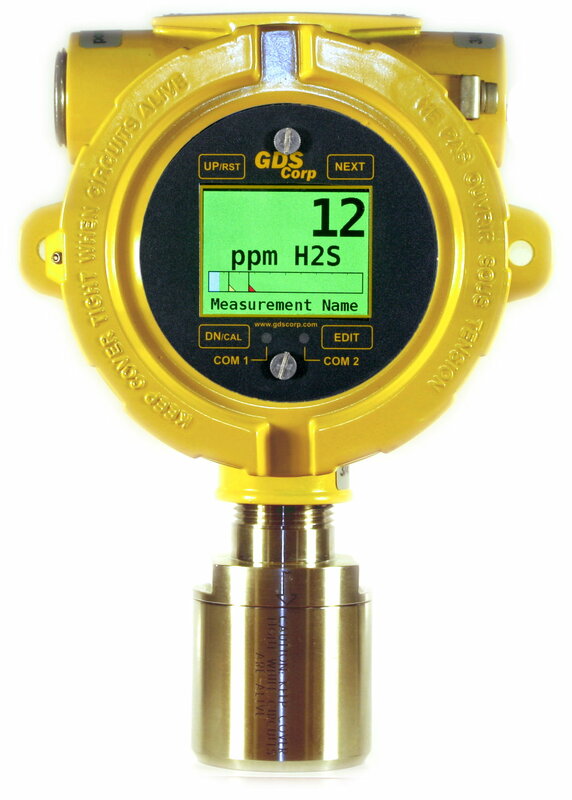 GDS GASMAX IIx Sigle Channel Wireless Gas Monitor with local sensor head configured for Smart IR combustible 0-100% LEL (Lower Explosive Limit) Methane (Natural Gas) with range combustible 0-100% LEL (Lower Explosive Limit). A1, A2 and Fault LEDs for rapid recognition of alarm. 900 MHz or 2.4 GHz Integrated Modems and standard 4-20 mA outputs, 24 VDC. Also available for Methane 0-100% Vol, Propane, Propylene, Butane, Pentane, Hexane, Ethylene, Ethane, Ethylen Oxide (EtO), Methyl Bromide, Butane, Isopropanol, Methanol, Toluene, Acetone, MEK and Xylene. 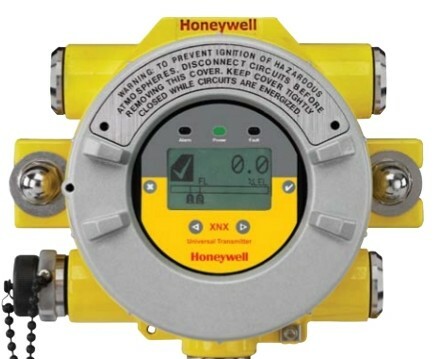 Honeywell XNX Universal Gas Detector Transmitter with Optima Plus Infrared Hydrocarbon Gas Detector combustible 0-100% LEL (Lower Explosive Limit) and aluminum housing. 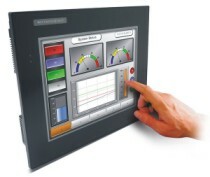 The XNX is compatible with all Honeywell gas sensing technologies. 3-wire 4-20mA HART loop, option for Modbus, Foundation H1 Fieldbus, local Hart and relay outputs. UL Certified Class 1, Div 1 Groups A, B, C, D / ATEX Zone 1 . Available for over 100 gas and vapour calibrations.